Real entrepreneurship, Peter Drucker wrote, is a practice of “purposeful innovation,” one that should be “normal, steady and continuous” in “our organizations, our economy, our society.” It is as appropriate to government and the nonprofit sector as it is to business. The entrepreneur is someone who is always seeking change, creating it and exploiting it. Seen in this light, the true entrepreneur is a rare breed. Rarer still are those entrepreneurs who leave people ever after influenced by their vision and their work. 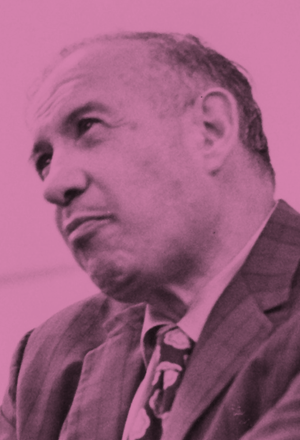 With a throng of executives and scholars descending this month on the Global Peter Drucker Forum in Vienna—the city where Drucker was born 107 years ago—we thought it appropriate to look back in history at three of these grandest of entrepreneurs. In a couple of weeks, hundreds of executives and scholars will gather in Vienna for the Global Peter Drucker Forum. The theme of this eighth annual gathering—“The Entrepreneurial Society”—is at once timely and timeless. “Entrepreneur” has many etymological explanations, most of them wrong. We know that the term was already in use during the 18th century, but “entrepreneurship” waited until after World War I to come into being. 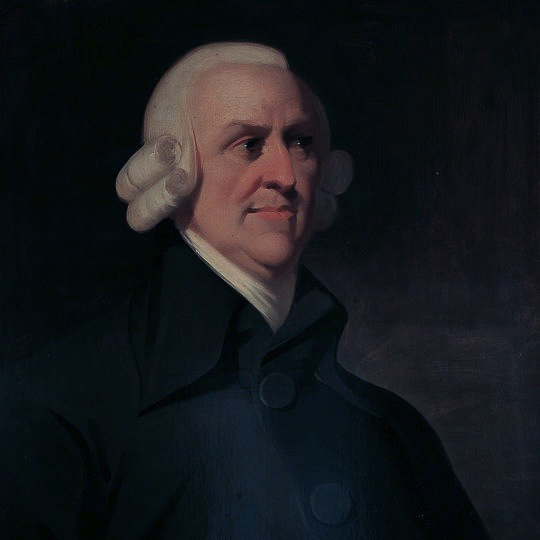 According to Peter Drucker, the French economist J.B. Say, writing around 1800, defined the “entrepreneur” as someone who “shifts economic resources out of an area of lower and into an area of higher productivity and greater yield.” In modern parlance, by contrast, “entrepreneur” often refers simply to someone who has started his or her own business. 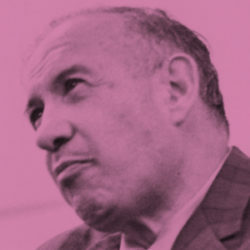 Drucker rejected the common description of the entrepreneur as someone who has launched an enterprise and considered Say’s characterization to be closer to the mark. But he also placed some additional requirements on the concept. Real entrepreneurship, Drucker wrote, is a practice of “purposeful innovation,” one that should be “normal, steady and continuous” in “our organizations, our economy, our society.” It is as appropriate to government and the nonprofit sector as it is to business. The entrepreneur is someone who is always seeking change, creating it and exploiting it. Seen in this light, the true entrepreneur is a rare breed. Rarer still are those entrepreneurs who manage to change basic assumptions about the role that their sector can play in the world, leaving people ever after influenced by their vision and their work. With so many great minds descending on Nov. 17 and 18 upon the city where Peter Drucker was born 107 years ago—you can sign up for the live stream here—we thought it fitting to look back in history at some of these grandest of entrepreneurs, men and women who set an example of how to integrate entrepreneurship into life. Here are the stories of three of them—one from each sector. Pursuing the practical limit of measurement and workmanship—and pushing hard against it—eventually made Whitworth rich and influential, with 48 patents to his name. It also made him the quintessential entrepreneur. In this special issue of MONDAY*, focused on history, Phalana Tiller features some thoughts on entrepreneurship with a very special guest: Peter Drucker himself. 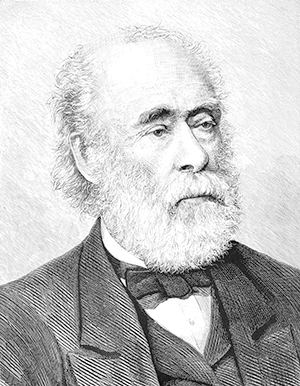 Joseph Whitworth pushed forward the field of toolmaking by insisting on getting as close as possible to mechanical perfection. Whitworth had a hard childhood. Born in 1803, the son of a teacher, he lost his mother when he was 11. Unable to support his family, his father sent Joseph and his two siblings into foster care. Joseph received a few more years of schooling and then, miserable with his new life, moved to Manchester in search of work. There he landed a series of jobs and apprenticeships at companies specializing in machine tools. At age 21, he moved to London to join the 120-man workshop of Henry Maudslay, known for being at the forefront of mechanical engineering in England. Many of the great names of English industry passed through Maudslay’s, and Whitworth worked there for several years, learning about the latest advances in tool making. In his spare time, Whitworth worked obsessively on production of what he called a “true plane,” a metal plate of such flatness that every point on its surface was weight bearing. Whitworth’s planes were so “true” that, when placed gently together, one seemed to float above the other on a cushion of air. When pressed harder together, they’d stick and require force to separate, something scientists puzzled about well into the 20th century, when the phenomenon of “molecular cohesion” was discovered. More important, the creation of true planes allowed for the construction of tools of unprecedented intricacy and reliability and measuring devices of unprecedented precision. Sliding surfaces based on true planes are crucial to nearly every sophisticated machine. The flat plane allowed for the later invention of a measuring device that could detect—Whitworth claimed—differences of a millionth of an inch. One of the simplest and frustrating obstacles to this was the lack of a standard screw. Whitworth began to collect every variety of screw in England, and, averaging their pitch and depth, produced a paper in 1841 proposing a universal screw thread. This went into countrywide use—“British Standard Whitworth”—by 1858. He also presented a paper imploring his fellow engineers to adopt a decimal system in measurement, rather than something based on eighths, and Whitworth’s “thou,” referring to thousandth of an inch, became the industry norm. By 1853, when England went to war in the Crimea, Whitworth employed more than 350 people and had grown wealthy. The outbreak of hostilities inspired Whitworth to try something new. He invented a rifle. The one he devised used a six-sided bore and required less gunpowder than other firearms, even as it achieved greater penetration. To Whitworth’s frustration, the British government chose to go with a different gun, but France became an enthusiastic purchaser of the rifle known as “the Whitworth,” as did the U.S. Confederacy, which found its precision invaluable for sniper use. Thus it was that Whitworth’s foray into gun manufacturing caused him to become interested in metal quality. Steel was just coming into use for firearms, but impurities or air pockets in the metal could cause guns to malfunction or, in the worst cases, even explode. To address this, Whitworth devised a system of hydraulic compression that pressed down on the molten metal and expelled all gases. This he likewise patented, and, by 1880, when Whitworth was in his late 70s, he had established a large new plant that employed more than 1,000 people. The very soul of manufacture is repetition. The solutions reached by the most important among them not only delight their customers but go so far as to reshape the world. To this end, by the time Whitworth died in 1887 at age 83, the “good enough” standards that had long characterized British engineering and manufacturing had become a thing of the past. Yet as 21st century as this approach may sound, it’s well worth noting that Octavia Hill was on to the very same thing—more than 150 years ago. Hill was born in Cambridgeshire into a comfortably upper-middle-class existence, but when she was still young, her father lost his money through bad decisions and suffered a nervous breakdown. After that, he ceased to be capable of making a living. 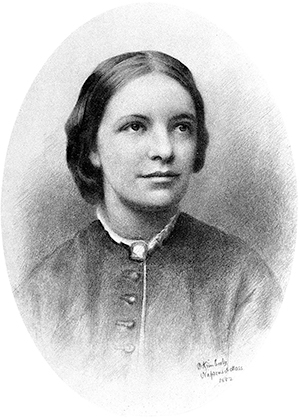 Octavia Hill, a pioneer in social entrepreneurship, provided healthy, clean places for the poor to live—and, in return, expected them to pay their rent on time. His wife took the children, including 14-year-old Octavia, to London and secured a job as a manager of the Ladies’ Co-operative Guild, established by a group called the Christian Socialists. Hill worked as a supervisor of a toy production shop staffed by girls who attended a school for the poor. Hill’s manner was kinder and more compassionate than the girls had previously encountered, and she came to know each of them well. When she visited their homes, however, the level of squalor shocked her. She began to think of ways to improve housing conditions for the poor. Ruskin, to Hill’s delight, replied that it would give him “one of the greatest pleasures yet possible to me” to help with the effort. But he imposed one condition: a return of 5% on his capital. This, he said, was not due to avarice but to the desire to see Hill’s example, if profitable, replicated by others. “Who will ever hear of what I do?” asked Hill in response. In 1865, Ruskin acquired three houses in a court in the central London neighborhood of Marylebone. According to Hill’s records, maintenance problems included plaster crumbling off of walls, rain coming in through the roof and dark stairwells that lacked banisters. Tenants had long since chopped them up for use as firewood. Like many London slum dwellers, the tenants were accustomed to a traditional arrangement in which, in a variation on an old joke, the landlord pretended to offer housing and the tenant pretended to pay for it. Many were weeks in arrears. Hill, however, broke with such custom, insisting on coming by in person, weekly, to collect rent. She also made efforts to get to know each of her tenants, despite their reluctance to speak to her. As time went on, Hill’s tenants warmed to her, growing to respect her for her tenacity and goodwill. She immediately began to repair windows and whitewash the walls. Seasoned landlords warned her that the tenants would pilfer and break things as fast she could fix them, and this turned out to be the case. But Hill spoke to her tenants and proposed a deal: If the money she had set aside for repairs didn’t have to be used, she would spend it on improving their units, adding things like “safes and washing-stools and copper lids,” as she wrote to Ruskin. This worked. She also organized teenage girls among the tenants to clean the passages of their building for six pence a week, leading them to enjoy both new levels of cleanliness and the money in their pockets. In Hill’s view, the worst thing one could do for people was to make them dependent. The way to help people was by showing them respect. In her own case, that meant an ethic of mutual obligations. Hill kept her buildings in good repair and always followed through on promises. In turn, tenants were to pay up on time. 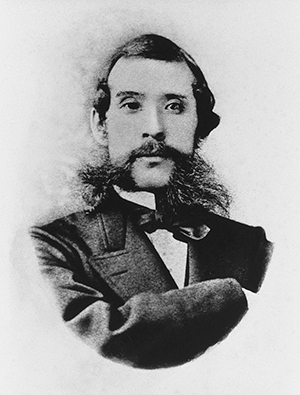 In 1868, Okubo Toshimichi helped to do away with the shogunate and transform Japan into a modernized nation-state. Hill acquired additional properties, becoming more renowned than even Ruskin had anticipated. By 1874, a decade after she began, she had more than 3,000 tenants. Others had begun to imitate her methods. Because Hill’s goal was to help people rather than make money—and she kept none for herself—she took great interest in philanthropy overall and became closely involved with an entity called the Charity Organisation Society, founded in 1869. As the name suggests, the Charity Organisation Society had the aim of bringing more order and rigor to efforts to help the poor. Blind donations were often leading to dependence—a great sin, in the view of Hill, whose first paper delivered to colleagues at the society was entitled “The Importance of Aiding the Poor without Almsgiving.” At the same time, disorganized distribution often led to waste or unfairness, with resources clustering in some areas and failing to reach others. The society also conducted investigations into what was working and what wasn’t—a forerunner of the assessments that many nonprofits conduct today to gauge the impact of their programs. Hill’s critics viewed her as inflexible, and it has been suggested that even Hill herself eventually came to have second thoughts about the strictness with which she had espoused certain principles. However, many of the results she achieved would surely be the envy of social entrepreneurs today. So, too, would be her relentlessly forward-looking worldview. For centuries to come, historians will debate Japan’s Meiji Restoration, which saw the abolition, in 1868, of a largely decentralized shogunate and a return to centralized rule, with an emperor at the helm. Within the space of less than a decade, Japan went from being an extraordinarily isolated nation to an emerging world power that had adopted Western learning and institutions with a speed unequalled by any non-Western society in history. The samurai class, one that had enjoyed centuries of privilege, effectively discontinued itself, and previous class distinctions were officially erased. Among the figures at the forefront of this titanic transformation was a young samurai named ­Okubo Toshimichi. Born in 1830, Okubo was the son of a low-ranking samurai in Satsuma Province, at the southwest extremity of Japan, on the island of Kyushu. Family income was modest. But because he lived in the main castle town of Kagoshima, the seat of Satsuma’s government, Okubo got a thorough education by local standards, and his devotion to reading helped him land a job as an aide in the local archive when he was 16. Thanks in part to his maternal grandfather, who had gained a lot of knowledge of Western technology and science from having lived in Nagasaki, where Dutch traders had been granted a limited concession, Okubo came to believe that Japan lagged the Western world in technological development. Unfortunately for Okubo, his father, who was a minor official in the government of Satsuma, became tangentially embroiled in a plot to assassinate some conservative advisors of the local governor. His father was exiled, and Okubo lost his job in 1849, leaving him in dire poverty. Only with the ascent in 1851 of a new governor, called a daimyo, did things look up. Okubo was pardoned and restored to his former post. He quickly advanced up the ranks of local government, taking a quiet but active role in supporting modernization in the province. Such efforts had gained urgency after 1853, when Commodore Perry sailed in from the United States and forced a treaty upon Japan. Before long, a more hidebound governor came into power. But Okubo was cautiously persistent in promoting reform. Gifted at office politics, and widely resented for it, Okubo employed tactics like seeking out chess lessons from a priest who was known for playing the game with the father of the new daimyo. Okubo would then use these sessions to confide in the priest, in the hopes—correct, as it turned out—that his chess teacher would prove a useful conduit to higher-ups. Okubo kept rising in local government, finally ascending to one of the most prestigious and senior roles possible: direct advisor. At this time, rebels in the provinces of Satsuma and Choshu were becoming leaders in a quiet movement to do away with the shogunate and transform Japan into a modernized nation-state. In 1868, they hatched a series of plots, unleashing a short but bloody burst of battles that left 3,500 dead. It was then that Okubo and other rebels realized a long-cherished plan: to get the shogun to step down and cede all authority to Japan’s emperor. The decade that followed this event, much like the decade that had preceded it, has been much studied ever since. If, as Drucker has written, the groundwork for entrepreneurial opportunities includes unexpected failures, new threats and changes in perception, then Japan had many such conditions to offer. In addressing them, “creative imitation” and “planned abandonment”—getting rid of systems that have become obsolete—were central. Okubo spent the first few years following the restoration helping to set up a new government—often using measures that were flatly autocratic. One of the most dramatic early reforms was to do away with official class distinctions. Samurai, who had lived by decree as a mostly idle aristocracy of warriors, were now free to engage in commercial activities. Nobility could marry commoners. The outcast eta group was no longer to be designated as such. Okubo also joined an extended mission abroad, visiting the United States and Europe, in an attempt to renegotiate treaties and learn more about Western administration. In Prussia, he met with Otto Von Bismarck, who advised that Japan rely for its security on strong self-defense and not on international law. In 1873, Okubo became home minister, giving him control of local government appointments, and he oversaw the establishment of an agricultural school, the promotion of industrialization and construction of extensive infrastructure, including roads and bridges. Okubo had a plan: to get the shogun to step down and cede all authority to Japan’s emperor. In 1876, to widespread consternation, the government prohibited samurai from carrying two swords, a traditional badge of prestige. And in a policy that would further squeeze the erstwhile samurai class, Okubo helped to do away with much of its income, which had initially taken the form of rice tributes from peasants. First, the central state assumed the obligation, but, seeing how much it strained the treasury, Okubo proposed instead that the privileges be commuted into long-term government bonds paying 5% to 7% interest. This freed up much more funding for building up Japan’s military and infrastructure. All of this became too much for some of the samurai, including, inconveniently, some of Okubo’s old friends and colleagues in Satsuma province, where a major rebellion broke out in 1877. As home minister, Okubo was forced to take a lead role in crushing the rebels, a conflict that left more than 6,000 dead. If Okubo already had many enemies, he now had more. The following year, traveling on the road in a coach, he died as no one should: of assassination by beheading. Okubo’s killers, who took their own lives as well, had been motivated in part by desire for revenge for Satsuma and in part by hatred of Okubo’s highhanded rule. Few historians would deny that Okubo took an authoritarian approach to governance, and after his death democratization picked up speed. But he had left his nation considerably strengthened and drastically changed, and he is widely considered to be one of the founders of modern Japan.  Join the Global Peter Drucker Forum on Nov. 17 and 18, where this year’s theme is “The Entrepreneurial Society,” or patch in to the live stream by registering here. Gather your team and question how your organization could become more “ambidextrous”—that is, able to serve existing markets where efficiency is prized while also competing in new areas where experimentation is needed. Niccolò Machiavelli is best known for The Prince, in which the narrator ironically advises a ruler on how best to sidestep morality and wield power without mercy. 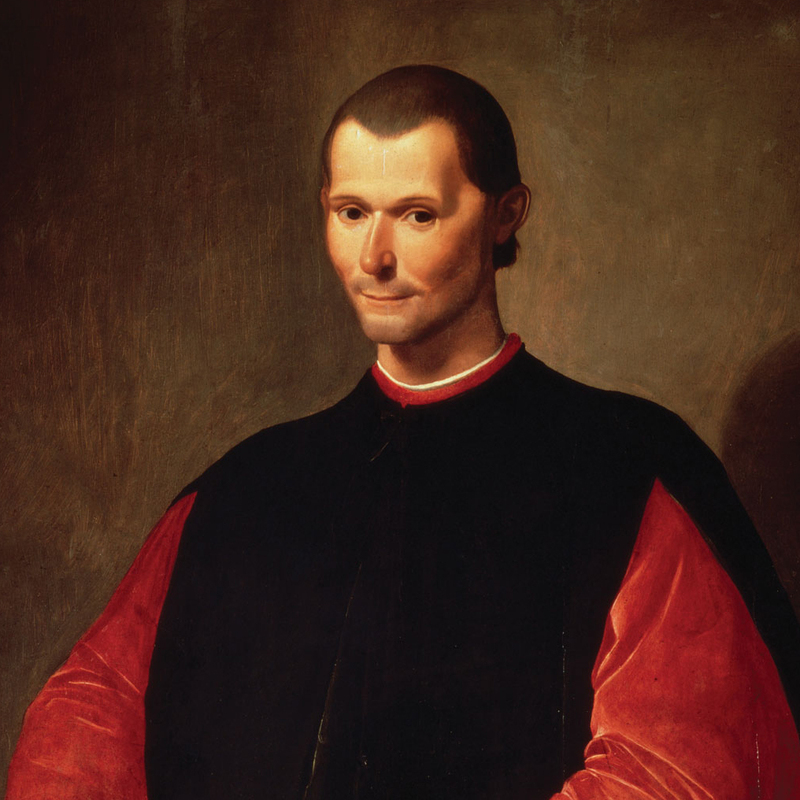 But a very different Machiavelli speaks in the Discourses on Livy, which offers a historical analysis of the ingredients of political greatness. It is this work, among others, that has caused Machiavelli to be viewed by many, including Peter Drucker, as one of the inventors of modern government and an important social entrepreneur. The colony of Jamestown, founded in 1607, was a business experiment in the colonization of America that for a long time went very poorly, leaving many settlers dead. 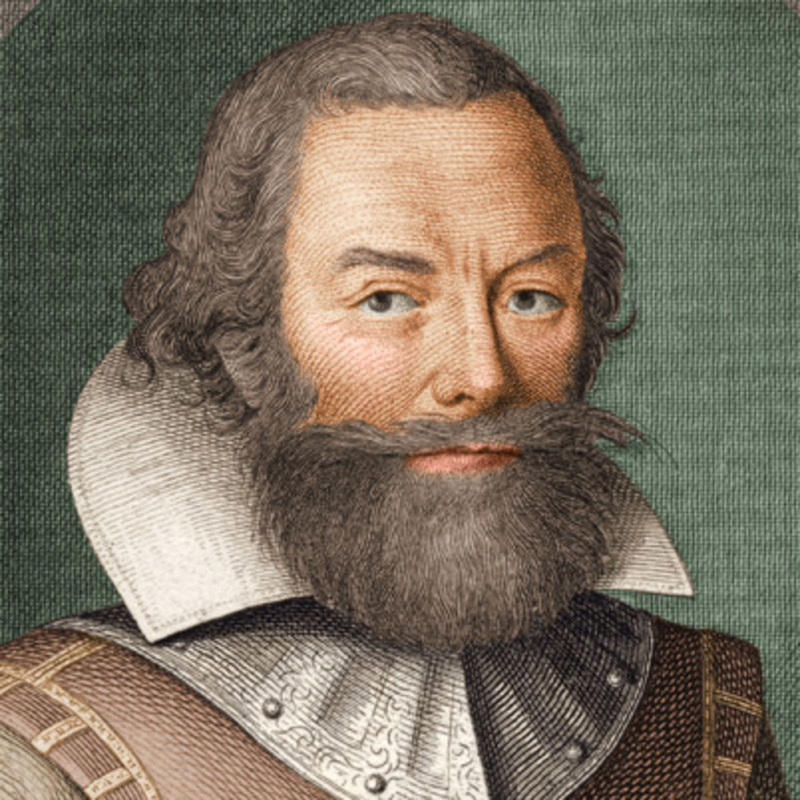 Leading the colony out of starvation was John Smith, who used systematic innovation—a nice term for bringing order to a desperate situation—to devise an arrangement of work and governance that everyone could live with. In his Generall Historie, Smith describes the process, avoiding much of the boosterism in which other accounts of New World settlement tended to indulge. 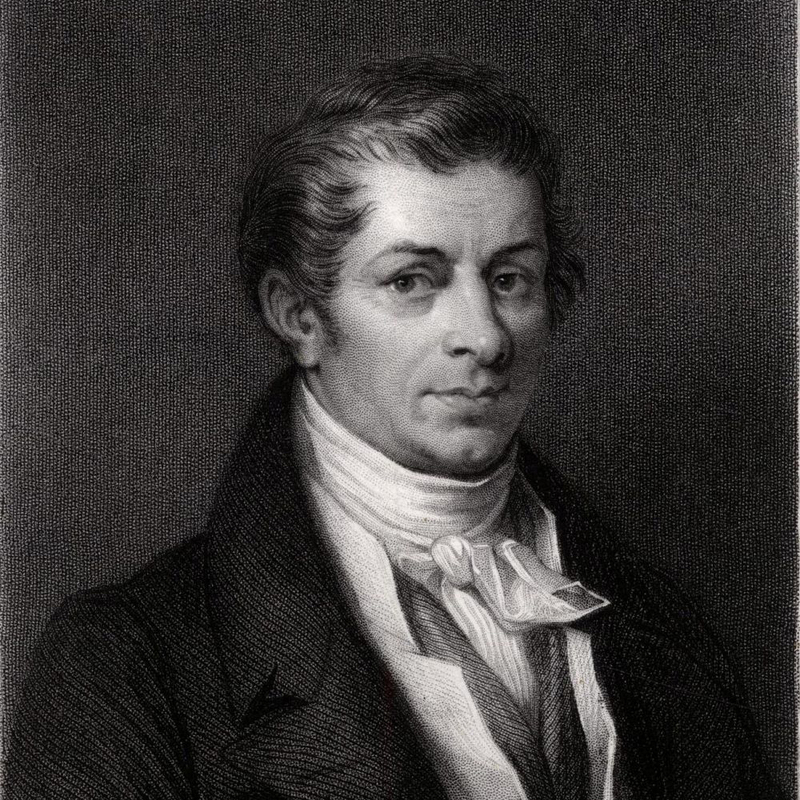 Jean-Baptiste Say was not merely an economist but also an industrialist who established a spinning mill. He was the first to use and define the term “entrepreneur” in the sense that it later came to be known. A Treatise on Political Economy was a work years in the making that became a cornerstone of classical liberalism. Joseph Schumpeter, one of Peter Drucker’s intellectual heroes, introduced the phrase “creative destruction” in this, his most famous and influential book on economics. Schumpeter believed that the entrepreneur must be distinguished from the capitalist, and it was the former who guaranteed long-term economic growth. 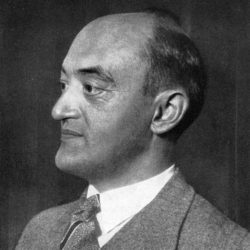 Schumpeter also predicted, however, that conditions of advanced capitalism would become intellectually resistant to entrepreneurship. Whether he was correct or not in his predictions is still debated.